Intensive hair treatment that restores nutrients lost over time. The exclusive, moisturizing formulation is rich in natural rosemary oil, aloe vera and shea butter, and is able to penetrate the hair cuticle, providing deep, rich nourishment. The transformation occurs from the hair cortex to the hair cuticle, treating the hair entirely, eliminating frizz and leaving hair ultra-shiny and smooth. *Important note: The SOS treatments are ideal for use between Brazilian Keratin Treatments and before colouring and highlights. They provide intensive care, keeping the hair healthy and naturally moisturized. Dry, dull, brittle, damaged, coloured, fragile and sensitive hair due colouring highlighting and other chemical damages. It can also be used as a preventive treatment, providing hair strength and complete nourishment, as well as preventing hair loss, breakage and split ends. 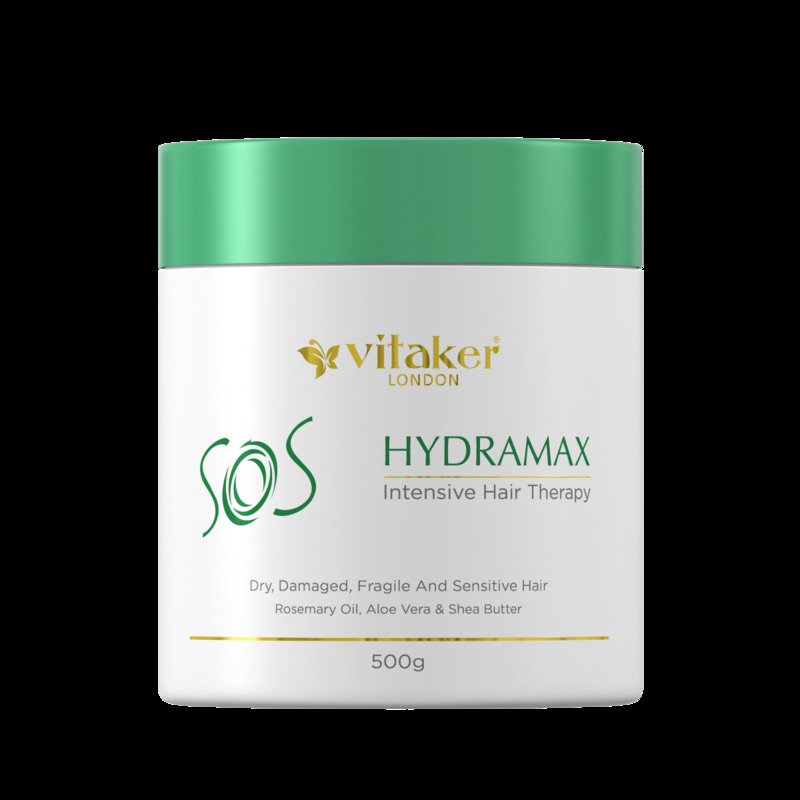 Apply a small amount of HydraMax Therapy throughout the hair and massage in thoroughly, making sure all areas are covered. Wash the hair with the SOS treatment shampoo, rinse out thoroughly and towel dry the hair. Leave in for 15 minutes. To intensify the results, use a heat cap or a hot towel, rinse out thoroughly and blow-dry the hair.